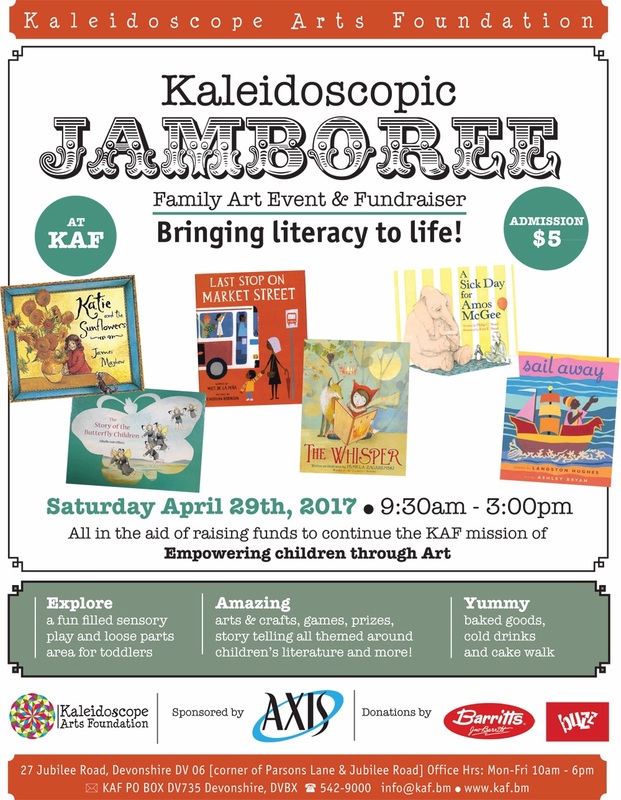 This Saturday [April 29] from 9:30am to 3:00pm, Kaleidoscope Arts Foundation invites the community to attend the Spring Jamboree, a fun-filled family event that hopes to bring literacy to life. The Jamboree is based on 6 carefully chosen children’s books. Each book is brought to life under the story tree and then animated through lively games and crafts throughout Kaleidoscope’s backyard. There will be baked goods, plant stalls, a cake walk, pony rides, sensory play, prizes and lots of fun. Kaleidoscope Arts Foundation, Registered Charity #765, recently celebrated its 10th year of empowering children through art. The Jamboree is an annual fundraiser providing crucial support for Kaleidoscope’s Creative Minds program, which delivers inquiry-based art and garden curriculum to eleven government preschools and primary schools. Kaleidoscope is located on the corner of Jubilee Rd and Parsons Lane in Devonshire [the old Elliot School building]. The Jamboree will run from 9:30am to 3:00pm. This is a fundraiser so there is a $5 admission with games, crafts and food for sale. Activities are suitable for children aged 18-months to 12-years and all are welcome. For more information, email info@kaf.bm.